Due to stock and availability concerns, we have changed this iteration of the guide to include both the G4560 (3.5GHz) and its slightly faster brother, the G4600 (3.6GHZ). The G4560 tends to have excellent price/performance ratio, but it also sells out frequently. In the cases where it is sold out, the G4600 will be the CPU shown on the list automatically. This version of the Entry Level Gaming Guide selects for a Micro ATX (mATX) motherboard to save money. If you'd prefer a little bit larger of a motherboard, there is also a version that selects for full ATX motherboards instead. Normally we would recommend the AMD RX 570 at this price point. Unfortunately, due to a recent surge in cryptocurrency mining, there is an extremely low availability of several video cards that would be appropriate at this price point. As a replacement, we suggest using the Nvidia GTX 1050 Ti. We've created a parametric filter to show you the lowest priced GTX 1050 Ti which will be powerful enough for most AAA games. The Corsair Carbide Series Spec-04 is a fairly compact ATX mid-tower that doesn't take up a ton of room but gives you plenty of room to work in when building. It features a number of cable management holes, 3x 3.5" bays, 2x 2.5" bays, and a built-in dust filter that you can remove for easier cleaning. It also includes 1x USB 3.0 and 1x USB 2.0 ports on the front panel, along with front 120mm LED fan. If black and red isn't your thing, you can tone it down with the black and gray version or go bold with black and yellow. To watch a build very similar to this in action, check out our video and blog post here! I feel like using the term "Entry-Level" on a build including a GTX 1060 is a bit inaccurate. I feel like an entry-level card like a RX 460 or GTX 1050 would be more accurate, and wouldn't be bottlenecked by the processor. Wouldn't get the same performance, but would be ~$200 cheaper. You recommend using a GTX 1050 to make it cheaper? It would drop the price by ~$170 cheaper. The performance would be a lot lower, so take that into consideration. But, you should be able to pull 50+ fps in most games. Lobsterareawesome made a good point about the 1060 3gb, just don't go any higher than that. I find a fallacy in the second test. They stated the performance difference between the 1080, 1070, and 1060 was negligible. I agree with that. My trouble comes with them stating in the summary of that test that the 1060 would still be a good, non-bottlenecked option, even though by their own test, it was bottlenecked. What's more, I must reiterate that my point on the bottleneck's existence in some scenarios was tangential at best. My main argument against the 1060's inclusion in an entry-level build was price. The 1060 6gb is a mid range graphics card. It is well above the price that many people just entering the PC gaming scene are willing to spend. A lot of people who just start off are looking to commit no more than $500. This build is very good and will definitely outperform anything that uses either of the cards I suggested. But, the fact remains, you are paying extra for it. It is a worthwhile investment, but entry-level doesn't quite peg it right. Not to mention the bottleneck that the G4560 creates for that card. But, that is more of a tangential argument. In CPU intensive scenarios (Ashes of the SIngularity, Cities Skylines, or even GTA V) the G4560 will perform within margin of error no matter which GPU you use starting from the GTX 1060 and above. That being said, my main argument was concerning the price of the GPU chosen compared to the other options. The bottleneck was, as I said, tangential. 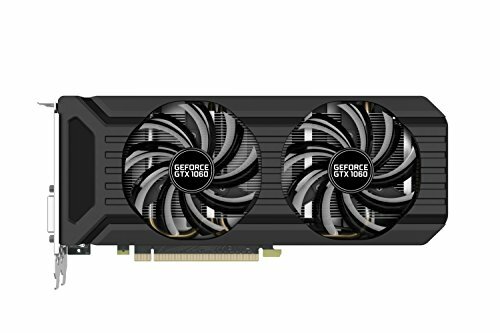 I think the easiest argument against using the GTX 1060 6GB in this "Entry Level" build is they used the same card in their upgraded "Modest Build", that too has a 1060 6GB. We can avoid "what is" entry, modest, great, or best altogether and just say the build guides should delineate specs a bit better. I think that is an astute obsrvation. Will this be able to do Witcher 3 at 60 FPS 1080p? Can this run Ark,Overwatch,and CSGO? Not sure on Ark since it's in EA, but will run overwatch and CSGO easy, shouldn't be hard to get 100+ frames on those two. It runs Overwatch on ULTRA at over 113FPS. CS GO will probably by much much higher than that. If you visit my build there are some screencaps of some Overwatch game play while I am running MSI afterburner to show you more information about GPU and CPU usage and temps along with FPS. Yes, I rock the GTX 1060 3GB with 16GB of RAM instead though. I run Ark at around 76-90FPS at fairly high settings. If you push the settings, it dips to about 55. Also, as nathanbruce11 and dedardevil said, it can run CSGO and Overwatch easy. can i trust these other websites besides newegg and amazon? E buyer is another reliable one. I'm completely new to PC gaming so please forgive the stupid question. I showed my buddy this build and he said it was solid but recommended I spend the extra money and get the i5 6600k processor. Is he correct in this recommendation? If so, what are the added benefits? Again, sorry if this is a stupid question. The i5 6600k is a 4 core 4 thread CPU, and a STRONG single core performer. I have mine currently OC'ed to 4.4GHz at 1.216v, and its been stable for hours worth of gaming on air to at 40-45c (Noctua DH12 I believe. I also got it to 4.5GHz at 1.220v stable, but backed off to keep the 17-20c temps at idle). What it will enable you to do, if you do not plan on streaming your game play, to be pretty well set over the next couple years with little to no worry about falling behind. If you're going to stream, get the i7 6700k as the 8 threads you get will better streaming performance. You've no reason to claim that the 1600 will last longer than a 6600k at all. By that time you've almost certainly upgraded. So unless you're looking at keeping your CPU for 4+ years, there's no certainty to believe an r 1600 will "last longer" than a 6600k/7600k. With vulkan and directx 12 more cores/threads will be more important, so the ryzen 1600 would be a better option in my opinion. This is because you save money at the start with a cheaper chip,but you will get slightly worse framerates no. Once the newer apis are more used and ryzen is optimized for, it should perform just as good now as it will in the long run. If you are okay with downgrading your GPU or a bottle neck this build is fine. If you downgrade the GPU, I recommend getting the GTX 1050 or 1050 ti. Those two cards are less capable then the GTX 1060 but still great for 1080p games if you are willing to not go with the highest settings on some games. I'm thinking about buying this but I've never built / assembled a PC. Would this be difficult to do or require any special tools or anything? Sorry if this is an obvious answer. If a screwdriver is special then yeah... Also, any form of electricity that touches a part such as the mobo (motherboard) or a part of a component. DEFINITELY not rub your socks on the carpet before doing this. Not at all. An optional choice is a grounding wire/bracelet so you don't fry any components. However, when building my friend's computer we did not use one and we were fine. Great budget setup thast jumps the builder right into playing the newest titles. This is a great build you have here. The problem with it is that the GTX 1060 6GB card is no where near entry level. For me at least, entry level is the GTX 1050 or even GTX 690. It is also worth noting that the Pentium G4560 would bottle neck your GPU. Actually, the pentium wouldn't bottleneck the 1060, it's been tested! Hey KristopherC, the G4560 does not bottleneck your GPU. It runs very well balanced. I am at 82% GPU and 82% GPU in PUB with this build. The test Treaves is talking about is actaully a write up by Gamers Nexus. Not sure how this site likes links so just search for "Testing When the Intel G4560 Bottlenecks GPUs: GTX 1050ti to GTX 1080" on google. There are some actual benchmarks on there. Gotta join the chorus of 1060 6GB != entry level. A 3GB model would be more appropriate, I feel. I wouldn't class it as an entry level build if it has a 1060 in it, more like a 460/1050 I reckon. Would the G4560 be in the way of the GTX 1060 cause it is a dual core, even though there are four threads? Just a suggestion, but do you really need a $95 motherboard because there are the cheaper ones with less quality of course, but support similar specs? I have a similar list with an I5 7600K, but it lacks the SSD and the GTX 1060 6GB. Instead I chose the GTX 1060 3GB model and the same 1TB hard drive. I also chose a cheaper case and a cheaper 500W 80+ PSU. My list consists of the opposite of what you have, with a more expensive CPU and and a cheaper GPU. I am new to all this stuff, so I am not sure if my list is good. A general rule of thumb when building a gaming PC: The GPU is the most important part of it and is therefore usually the most expensive part of it. There may be exeptions to this, but these would be very niche cases and the only actual one I can think of ATM (for gaming) is where the IGPU (integrated GPU on the CPU) is enough for your needs which would mean not getting a dedicated GPU at all. A more meta-knowledge piece of information: The G4560 is a 'secret tip' for budget systems - it's so powerful that it's 'cannibalizing' Intels own. Regarding potentially bottlenecking your GTX 1060 - it will not. Bottlenecking really only starts to happen with cards that are above the RX 580 or GTX 1060 line up. Here's a very detailed review if you shouldn't believe me. IMO I feel the next higher CPU to get that is worth it would be a ~200 bucks AMD Ryzen 5 1600 - anything in between these two CPU just doesn't offer enough to justify the price, at least for gaming. Regarding the GPU: If possible, spend the extra few bucks for the 6GB version of your GTX 1060 of choice - it is well worth it as the amount of VRAM is more likely to be a bottleneck than anything else at this point. If possible, I would actually recommend you getting an RX 580 8GB if you can get your hands on one for a reasonable price / searching time. The reasoning behind this is the better overall DirectX 12 performance of the RX 580 over the GTX 1060 and also the bigger memory bus (256 bit vs 192 bit). Regarding the PSU: Most people tend to cheap out on the PSU but if you think about the importance of that part in your build for a moment and realize that it is single handedly the only part of in your entire system that could kill all other parts, you probably wouldn't. At least get a PSU from a reputable brand (e.g. SeaSonic, Corsair, beQuiet, EVGA just to name a few). 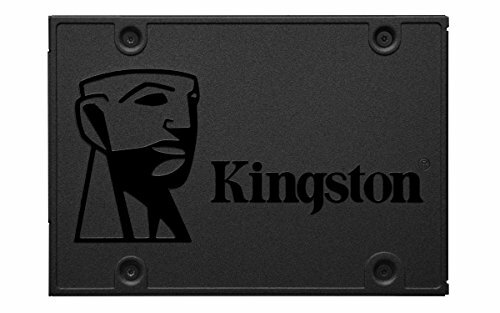 Regarding the SSD: The SSD will be by far the cheapest way to improve your PC experience. Your system will boot significantly faster and general desktop usage will be smoother. With 240GB you will have plenty of space left for some selected games that can benefit from the speed of an SSD, primary those that need to load a lot of game data / need to switch instances often. But if you should be on a tight budget you can skip it for the moment, as adding an SSD later on and migrating your OS installation / installing it fresh copy is something relatively easy. Speaking of upgrades - the filter for the MB is specifically filtering for MBs with 4 RAM slots so you can easily add 2 more later on - you could of course only take one with 2 slots, but upgrading your RAM later on would mean replacing your old sticks completely instead of adding another kit to it. Some people online in forums say that the G4560 and even some i3 and i5's will bottlneck with the RX 580. I know you said it will only start to bottleneckfor gpu's higher than the RX 580, but I just want to make sure. Lets say I had budget that was a bit bigger. Would the Core i3 6100 be a good choice? not really. I would go for a bit higher end, since the i3 6100 is much more money with not much more performance. i3 6100 is still viable, but there's not really any reason to build with it over a 4560 at this point. I would go with something bigger than 4560 IF you plan on upgrading the GPU at some point AND you have the cash. If I were to get a GTX 1070 while having a 4560 in my build I would only get a 2-5FPS increase. Great post and link. Thanks. Edotee is correct on ALL counts here. ^ See my post as well, farther up (or down, depending on your view) I've done a TON of research over a couple of years now, watching things change, prices swing, and new tech coming out. The Pentium g4560 is THE processor for the budget gamer. It boasts a higher single core speed than the i5's, and still has the 2 extra logical cores when needed (Pro-tip - most games do NOT use 4 cores) The motherboard is solid (gigabyte b250). Remember that 2x4GB is better than 1x8GB UNLESS you are going to upgrade within 6month to 16GB. Dual channel means that 2x4GB or 2x8GB is faster than 1x8GB or 1x16GB. GPU - the RX580 at about the $200 range is the way to go (4GB or better). It's far and away the best bang for the buck, if you want to play ANY game out now (and probably any that come out in the next 2 years) at high settings. the GTX1060 is fine, but simply won't give you the longevity that the RX580 will. 256bit bus and better DX12 support is the key. SSD's are simply the only way to go now. there is no reason to save $20 on an HDD, as the performace difference is night and day. Unless you have a TON of games, 240GB should be more than enough to store and run them all. Just wait for a deal for a 2TB or so HDD for storage if you need it. PSU - the 550W seasonic GOLD+ is the way to go. It's even got a mail in rebate that brings it under $50. There is NO reason to buy anything below GOLD+. They aren't expensive, and it's not worth saving a few dollars to put your entire system at risk! This list is basically what you want. Tweak as needed for your preference, but as far as GPU, CPU, etc. you won't do better for less. I just built this and let me tell you the G4560 is the lowest card that will work with the GTX 1060 that will NOT bottleneck it. No, you don't NEED a $95 motherboard. The OP just said he's "filtering for B250 chipsets and 4 DDR4 DIMM slots for future expansion." I wouldn't really feel comfortable paying UNDER $86 personally. The 6GB verision is nearly a 10% increase for only $10 more so no reason not to go 6GB. If you want a 1TB hard drive by all means go for it. Memory is a big personal preference. Cheaper case is fine but might be a bit embarrassing if friends come over but fine if it's just used as a troll under your desk and not for visual appeal. This would be the only thing on his list other than memory you can just straight up cheap out on. What is wrong with his PSU? It's reliable and has the proper wattage for the build. The guy who wrote this is a professional. I would go with what he wrote. He doesn't just spin around and point to random parts. Build this and you'll be able to keep up with AAA title and have it still be upgrade able. Check out my build I did for this. I went with a case for $20 more and a slightly faster CPU by 1GHz because these were out of stock but where the same price. Goodluck! -The Kaby Lake Pentiums are the correct choice now for budget gaming PC's (and are very impressive). -MoBo is pretty simple here. That one is the best bang-for-buck for sure, and has all the upgrade space you need, unless you are wanting to OC, which frankly is only for enthusiasts with money to burn. I think this only has one case fan header though, so keep that in mind. Splitters are pretty cheap usually, but might be worth looking around for one with more headers for case fans -7th gen proc lets you use 2400 memory, and Crucial has ddr4-2400 for $55-60 (8GB). No reason to use slower memory. -I don't like the PNY SSD. Crucial or Samsung are comparably priced, and have a more well established track record. -It's unfortunate people are manipulating the market on the RX580's they are preferred over the 1060's. However, the 1060's are VERY close, and a fine alternative -Case and PSU are solid. The seasonic with the rebate is probably the best deal out there right now. so this seems good, but my only question is does it come with an operating system or is that separate? The least expensive Ryzen processor is the 1400 at over twice the price, and you don't get twice the performance, at least not in gaming. What alternates for the case do you recommend as they do not sell it on any new Zealand sites. Question can this run high FPS Games like Call of Duty and Overwatch pretty well? I'm a first timer on a budget and I want to make sure what works and is it worth the price. That case is awesome. My potential build is a mini/micro. I'll have to look into this one some more to see if it'll all work out. There are a lot of very CPU-intensive games like Battlefield 1 and World of Warships in which a CPU like this would bottleneck horribly. I feel like you shouldn't have gone with the GTX 1060 cause it will get bottlenecked by the CPU. You should have got a GTX 1050 Ti and an i3 and it would've been the same price as the GTX 1060. This way the GPU and CPU are equal and you will have less FPS drop Becuase of the Pentium. What's the upgrade tail on this? Is the system (as is) a dead end and requiring a brand new motherboard and peripherals should you want to upgrade/extend the life of the system, or does it have some years should I decide to want to upgrade the CPU in the future? I was really excited to build this pc, but most of the components are back ordered! How long does it usually take for these companies to restock? For the CPU there are over 100 back orders, was this over a period of months? I am just wondering if I should wait for them to restock or I should move on to a different build. You should try this build, in my opinion it uses your money better than this build. https://pcpartpicker.com/user/Lonxu/saved/2gKQ7P It is not entry level but is the same price as this build. Would this build run rainbow 6 siege optimally? Will this be able to run Rust ? I want to build my first PC, and I'm thinking about maybe building this one. Could it run games such as fallout and skyrim at 1080p 60 fps? Is this a good PC for a console gamer looking to build a first PC to play games like fallout, skyrim, and other rpgs or fps games? I would like to be able to play most games on 1080p. How well will current mmo's perform with this build. like black dessert or ffiv for instance. will it be able to run gta 5? 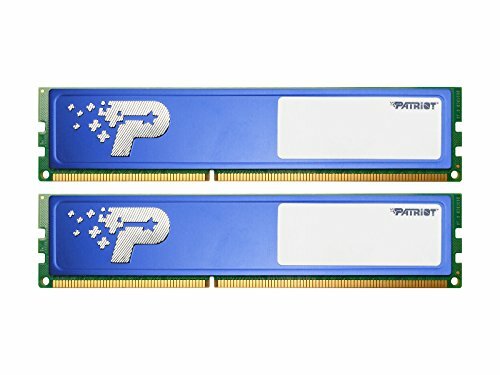 would this build be able to run games such as Overwatch, PUBG and those types of games? Based on Hardware Unboxed, you can indeed play Overwatch, for sure, at high settings, 1080p and get way over 60 FPS. Even at 1440p. They tested out several cards, the 1060 being one of them, and it did very well. Thank you for the build. I just put together one based of these parts but with minor tweaks to match the color scheme. The G4560 3.5GHz is out of stock so I went with a G4600. 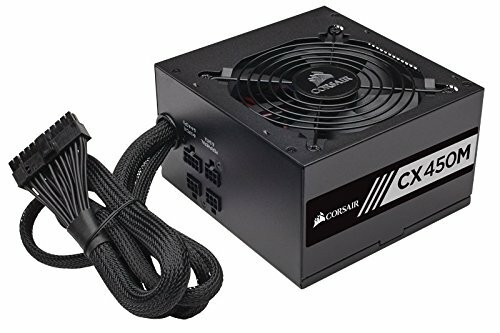 Best yet the Corsair 450W went on sale for $30 at the time of purchase! My fiancee is super happy with her build. Very good write up. I am not sure if you did your research on bottlenecks for the CPU and the 1060 or guesses but you hit it spot on. Very balanced build. 82% GPU 82% CPU usage on PUB. Great sweet-spot. what if i used a core i5 processor instead? would it be easier down the road to have a better processor if want to put a better gpu in? I'm a noob and researching everything to build a nice pc, thanks for any advice in advance! Would I would I be able to record/stream minecraft at 1080pwith at least 60fps with this? This list was very helpful, but I did read he comments and tweaked the list to make it more affordable for me (changing the graphics card to a GTX 1050 and not having a SSD). Do i need a cpu cooler with this build? I'm new to building PC's so when it comes to PC building i'm lost but i got into PC gaming back in 2012 and started doing... pc things like modding and creating a minecraft server around age 12. Soo would anyone recommend something to add or tips while building this one cause again i have never done this before. I read the comments and i see that the gtx 1060 is a good one but there are ones that are better and the gtx1050 is cheaper but lowers the performance. So any tips or extra comments you guys have would help a lot! What kinda games would this be able to play? Most games rely more on threads than on cores. This CPU has hyperthreading, so it more than makes up for the 2 core limit. A G4560 doesn't bottleneck a Gtx 1060 6gb or a RX580. Not sure where you think the bottleneck is occurring. The G4560 is actually a really great budget processor that is basically on par with higher end i3's. Check benchmarking and gaming videos about it. It does really well with the Polaris and Pascal line. It only really bottlenecks with higher end video cards, but if you waste your money on a budget CPU for a high end video card, then that's on you. That sounds ideal! Do you have a guide/build? Okay, and if its possible can you also add a keyboard, mouse, and monitor to the build (sorry im new to this), thank you btw. Unfortunately, they're very out of stock a lot of the time, currently. Your build is very horrible. You have an over powered PSU, only 4 GB of ram. Just 120 gb of SSD as your main source for both Windows and Games (an absolutely horrific idea that will bottleneck your SSD speeds). Dear lord.